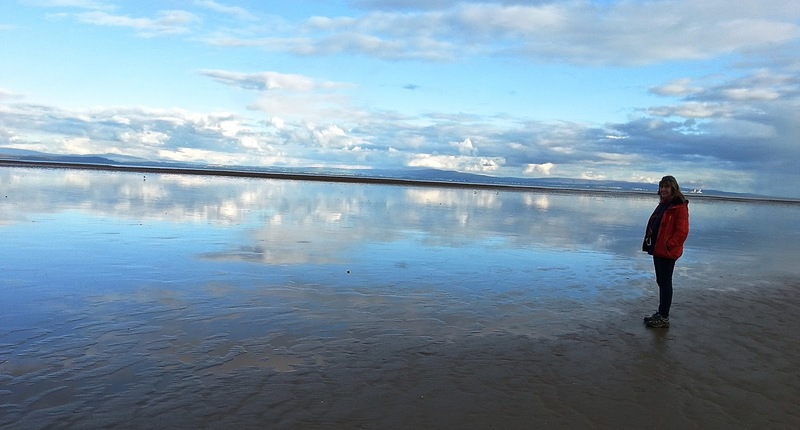 Poems such as ‘Lake Bank, Coniston Water,’ ‘I am no longer myself on these sands’ and ‘Moth, Eycott Hill’ are full of beauty. Here, where she completely absorbs herself in her subject-matter, we see Green at her very best. 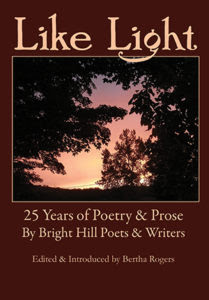 You can read also read a review of Passing Through by Bernard M. Jackson in Issue 240 of Reach Poetry. £35 if you come for Saturday only, incl. refreshments. Please bring your own lunch windproof/waterproof clothing and footwear. Notebook, pen, camera and binocs, too! Residential cost in No. 2 Coastguard Cottages is: £25 single room; £30 sharing a twin bedded room, plus £35 for Saturday's workshop. Breakfast, lunch and evening meals will be a 'Jacob's Join' (apart from own lunch on Saturday). The residential and workshop finishes after breakfast on Sunday morning. You are, however, most welcome to join me for another wander around the reserve. Cattle on the reserve are docile and friendly, the bull's name (I've learned) is Jasper. It promises to be a lovely day, watching migratory birds heading to the reserve to overwinter, already curlews are arriving. We can seal watch at the afternoon's high tide (will check tide times). Fungi and toadstools, including large parasols, will be taking over from summer plants such as viper's bugloss and yellow horned poppies. What do I know of stones? heaped up for feet to scramble and slide on. warm and smooth in my palm. 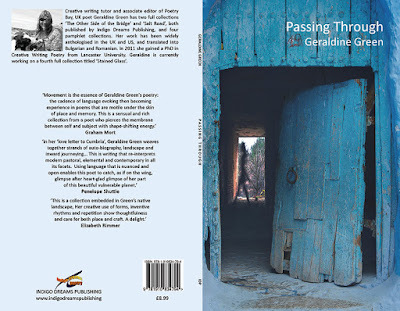 "Geraldine Green’s poems are alert to landscape, seasons, rootedness that draws from deep aquifers of language, change that flits like cloud shadows across the page. Some seemed light as thistle heads but proved enduringly strong, rich with seed. As I read, I almost expected goldfinches to feed alongside me with their otherworldly attentiveness. But that attentiveness was all hers." the softness of ground, the softness of feet, the hush of bodies, the quiet chat and the moss cushioning us, our feet, our chat, our bodies, our thoughts, the frogs’ stretched balletic legs, their crouched sanctuary among the sphagnum, speeding away from boots and trainers, our feet on cushioned silence, crushing their territory. call it back to sing the moor alive once more. the cry of the dead waiting to be re-born. cry of cur leee, of cur-lee. It is indeed a love letter to Cumbria - like walking through its parts with a lyrical David Attenborough - nothing gets missed, all the history, all the beauty, all the unpredictable wonder of it - from the way the waves lap on Coniston to the history in the old stones on Foulney Island, its minutiae and its grandeur. You want to wander with Geraldine and see with her eyes, her real eyes and her mind's eye. Forget the tourist information guides - if you want to know what the lakes and fells are all about read this. 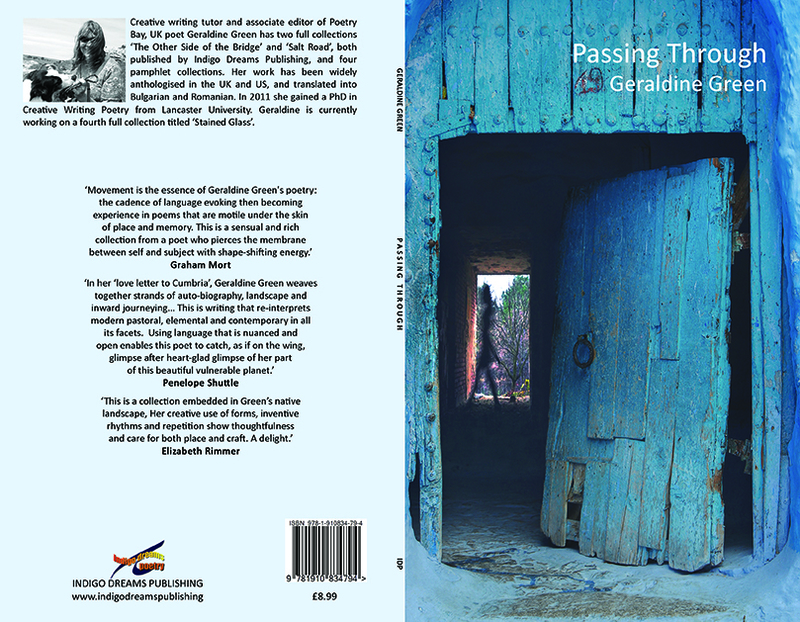 Looking forward to reading from Passing Through, to be published in 2018 by Indigo Dreams at a venue near you! and dip my hand in the high mountain sky"